A group of Stillwater Area High School French students and teachers recently returned from a trip overseas. 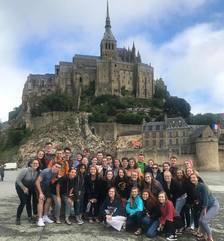 37 juniors and seniors spent about two weeks touring France along with four teachers (Jackie Parr, Jo Dougherty, Amy Budion and retired french teacher Mary Ellen Kasak Saxler.) The students, who have all completed at least 4 years of French, used the trip to expand their language skills as well as understand cultural differences and similarities. The trip also included a seven day stay with individual host families in La Rochelle. Photos on Facebook. It seems like summer just started and back-to-school supplies are already in stores! If you want to get a jump on your shopping we've compiled the elementary and middle school grade-level supply lists on our website. Go to your school's homepage to find the list for your grade. Help local students have a great start to their school year! 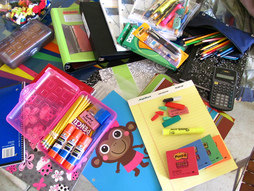 You can donate new school supplies July 9-August 3 to support the Stuff the Bus initiative. Top supplies requested include headphones (not earbuds), calculators, sanitizer wipes and Ziploc bags. Please click here for a complete list of requested school supplies and drop off locations. You can also donate online at www.uwwce.org/donate. Make sure to designate your donation to Stuff the Bus! Volunteers are needed to pack supplies at Stillwater Area High School on August 7 from 5-6:30pm. Stop by for as little as 5 minutes or stay the entire time. The event is open to the public on a drop-in basis, so there’s no need to pre-register. 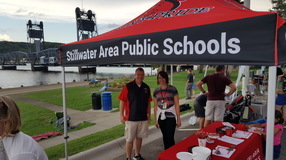 Come visit Stillwater Area Public Schools downtown at Summer Tuesdays July 10 - August 14. We'll have a booth set up from 5-8:30 p.m. where you can write a note to a special teacher or staff person that we will deliver at the beginning of the school year. We will also have some Pony Pride giveaways, including tattoos, pencils and brand new stickers. Stop by and say "hi"! 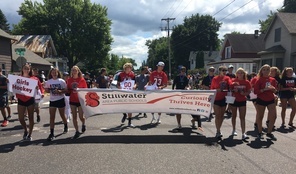 Be sure to look for us at the Lumberjack Days Parade on Sunday, July 22. Come cheer on our students as they show their school spirit! They'll walk along the parade route from Washington Square to Pioneer Park handing out Pony Pride items along the way. Go Ponies! The school board will hold a special meeting at 7 a.m. on Wednesday, July 11, 2018 for the purpose of interviewing all eligible individuals who have submitted complete applications for the school board vacancy. The board may identify an applicant to recommend for appointment at the school board’s next regular meeting on July 12, 2018. The interviews will be held at Central Services, 1875 Greeley Street South, Stillwater, MN. Read the notice online.